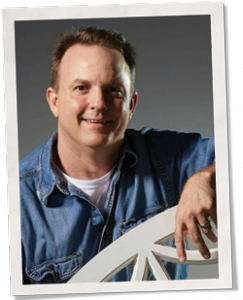 Steve Quillian of Wood Window Makeover in Tampa, Florida believes buildings preserve the stories and legacies of the families and communities who use them, something that fuels his passion for historic preservation. In the Window Hero Webinar below, he demystifies window restoration so more people feel empowered to get to work on their historic windows. Once you watch the webinar, we would be grateful if you could take a moment to fill out this survey. Be inspired! Steve also believes in giving back. He and other preservation experts each year teach window restoration techniques to people from around the country by doing hands-on work for a local charity through his Historic Homes Workshop. Indow window inserts are interior storm panels designed to increase energy efficiency and comfort while preserving historic integrity by gently pressing into existing window frames. They simply press into place without a mounting bracket using our patented silicone Compression Tube. Always custom fabricated to fit out-of-square and special geometry windows, Indow inserts are ideal for beautiful historic windows. Learn more about how Indow window inserts help save windows.